Inhabitants of Pluvigner, Bretagne 19th c.
Home » Inhabitants of Pluvigner, Bretagne 19th c.
Inhabitants of Pluvigner, Bretagne 19th century. Pluvigner (Pleuwigner in Breton) is a French commune of the department of Morbihan, located in the Bretagne region. 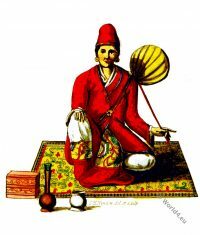 It belongs to the arrondissement of Lorient and is the administrative seat (chief lieu) of the canton of Pluvigner. 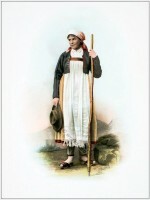 Woman from the Bethmale Valley, Pyrenees. 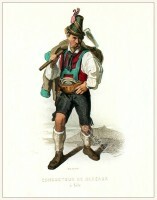 Folk costume of a Woman from Tessin Verzastal. 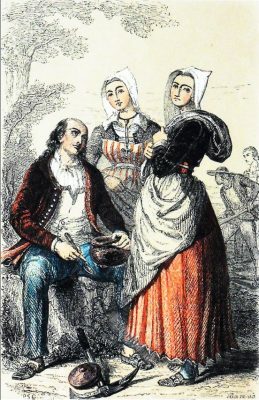 This entry was posted in 19th Century, France, Traditional and tagged Brittany costumes on 11/28/16 by world4.